Today on The Spotlight, we have brillianty talented and breathtaking poet Jonte "Luki" Barrett! Hailing from Washington, D.C. ("It's DC or nothing!" sje confidently said), Jonte started creating poetry back in 2007, and has recently started performing as Luki (pronounced "lucky"). In fact, she recently performed at the Moonz Conference 2016, an annual conference for fans of Wale to connect, support and build with each other! Orville the Poet: "who has shown me that no matter the struggles that life throws your way, you have a purpose to live for. Things will get shaky along the way but God will never leave you alone," Luki said. ThePoeticRockstar is "the epitome of the perfect balance of strength and vulnerability," she claimed. 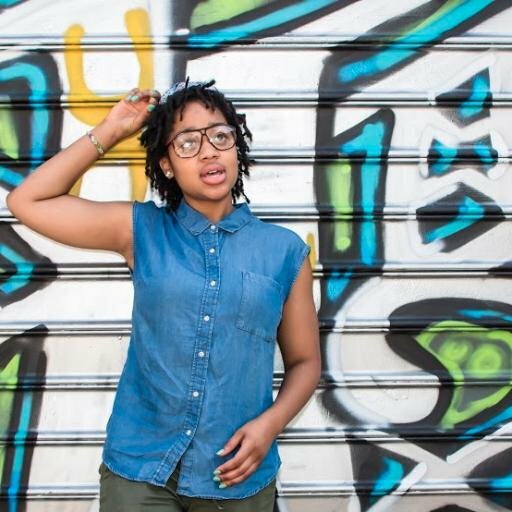 Epiphany is "such a great mom and dope poet that proves that there is always room to grow and learn and that finding a safe space to create is essential to this growth and learning," the poet added. Describing her poetic style as "reflective," Luki believes that it's through poetry that she's able to tell her story, and hopefully inspire or help someone else in the process. She also uses her craft to display her beauty because she wants to show other women that, no matter your struggle there is beauty in it! Besides poetry, Luki also loves to sing and dance, However, her favorite talent is her ability to teach! "Kids are my first love and then poetry and soon I'll be able to combine the two," the poet revealed. As for some of her plans for the rest of 2016, Luki plans to create a special poetry project together, but, most importantly, wants to continue to uplift as many black women as possible. "There are so many queens that don't know they are queens yet!" she stated. We are definitely rooting for her and will keep all fans notified of more Luki poetry and news! Check out one of her recent performances below! "Anything Wale is definitely always in rotation. Need to set out some time to listen to his new mixtape Summer On Sunset. I love oldies like Smokey Robinson, The Temptations, Marvin Gaye, Ray Charles but I also listen to Drake, Future and rappers of today. Not a fan of the direction music is going (except for Le...he's my fave) but I'm hopeful we will have more Jill Scott, Lauren Hill and Erykah Badu in our future." Check out Luki on social media!